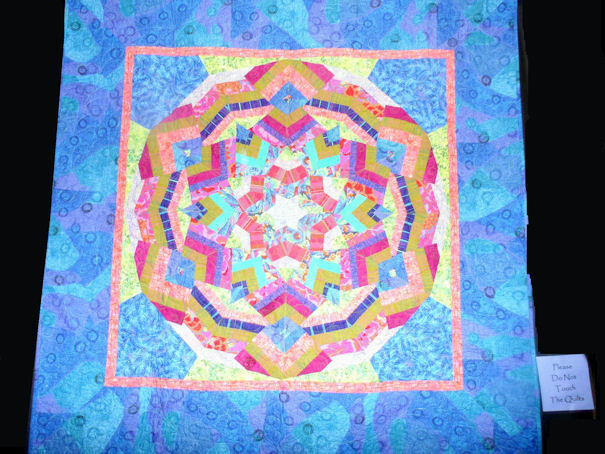 FYI …… I did edit some of the background around some of the quilt. 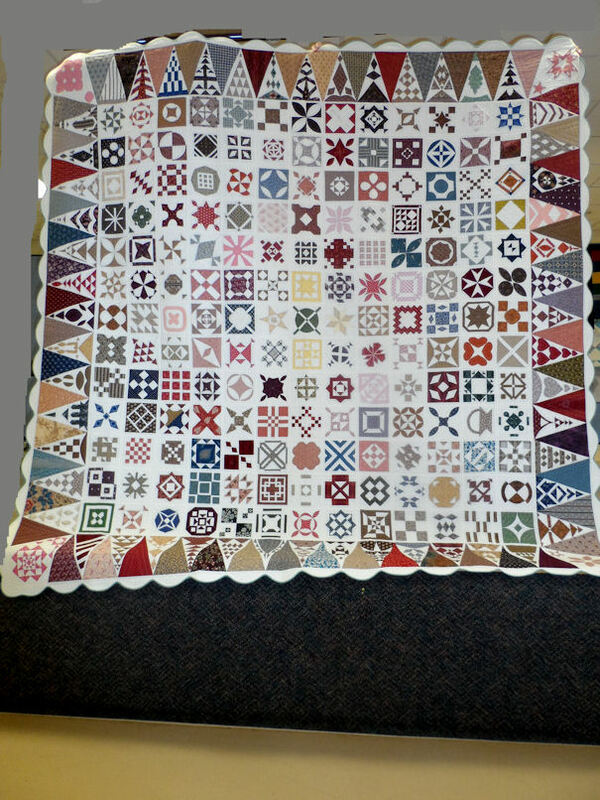 I also change brightness on the photos as my camera tend to take dark pictures that are not flatter the quilt. When posted the dark photos do not show up well on the internet. If I find I over adjusted the pictures I try to re fix the photos and repost/ edit at a later time. No INTERNET means I actually sewed! It took thirty minutes to set up for sewing the blocks. Most of the delay was due to the time I had to fussing with fabrics selection. The actual aligning of the blocks only took a few seconds. I am planning to track the time it takes me to make this quilt top. WHY you ask, cause I am curious. 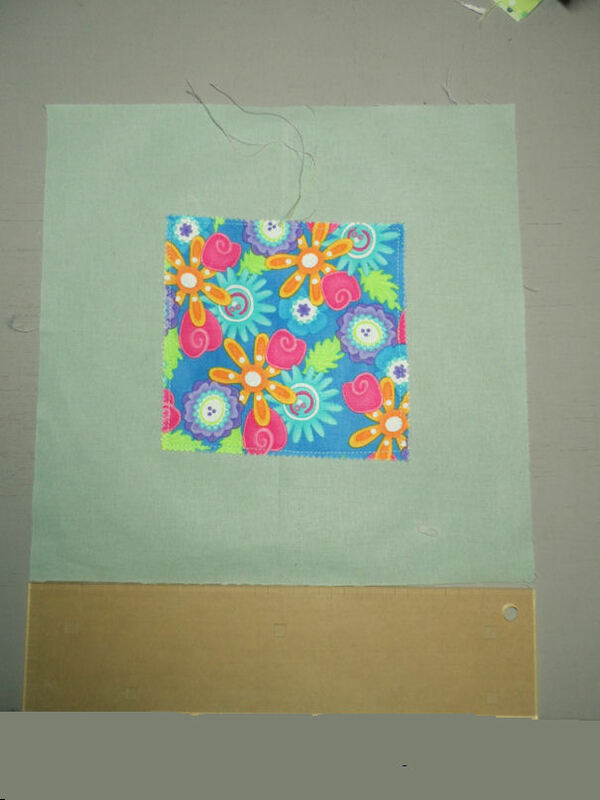 I am using decorative stitches to sew down the patches. This nails down the patches to background and controls the edges from fraying. To my surprise this has been the funniest part of the project. I have really been enjoying using the stitches on all of my machines. I have also started using decorative stitches to make the patches themselves. 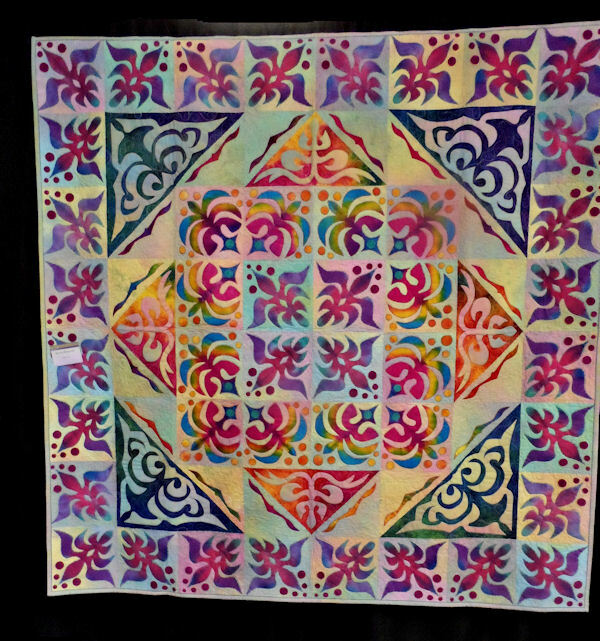 A technique I saw Pat Holly use in some of her quilts. 1./ Pull the threads to the back to bury them. 2./ Use school glue sticks ( washable) to tack down the corners if they do not lie properly. 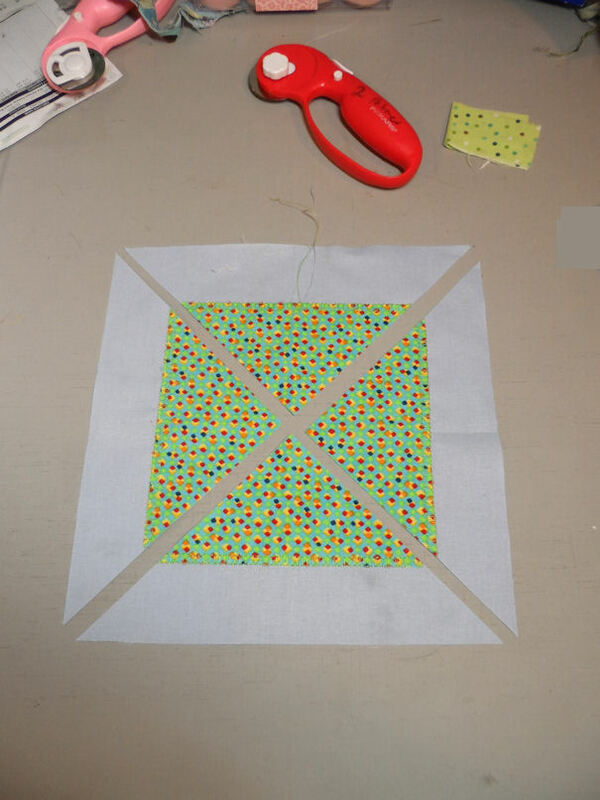 3./ When sewing the corner down I would go to the very edge. 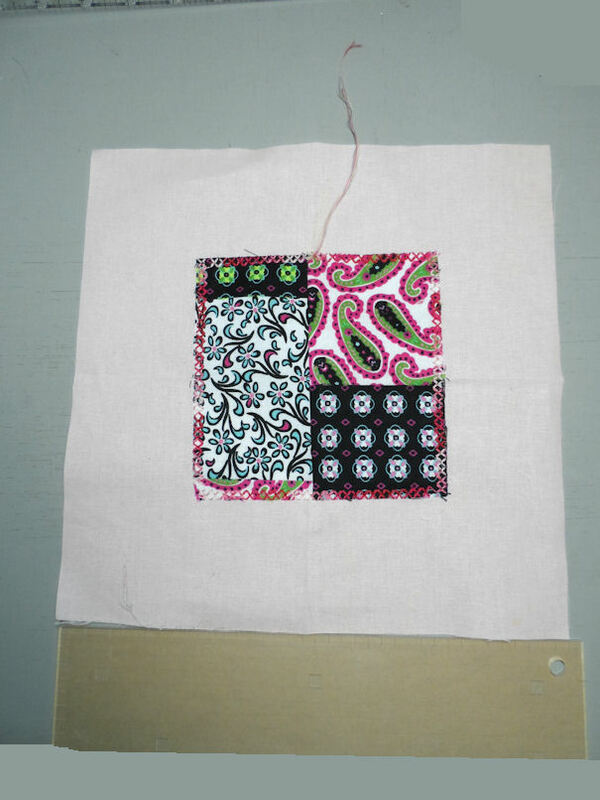 I would reset the machine to a straight stitch then reprogram the decorative stitch to the same settings. 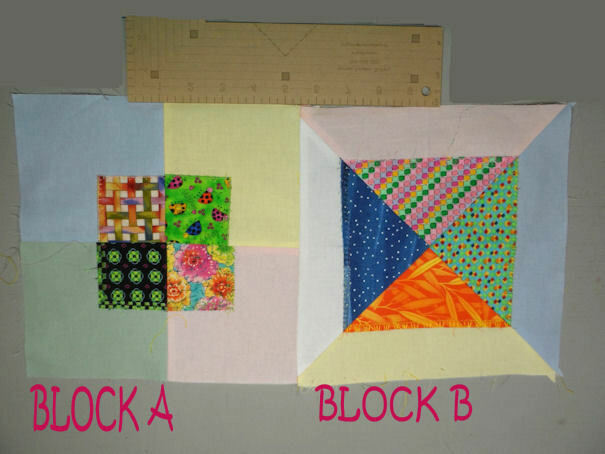 I had practiced the stitches several times before using them on the blocks. I have a stitch journal where I take notes about the stitches and settings used. 4./ I find it especially important to know how the various stitches start. That helps me to pivot and produce a nicer corner. 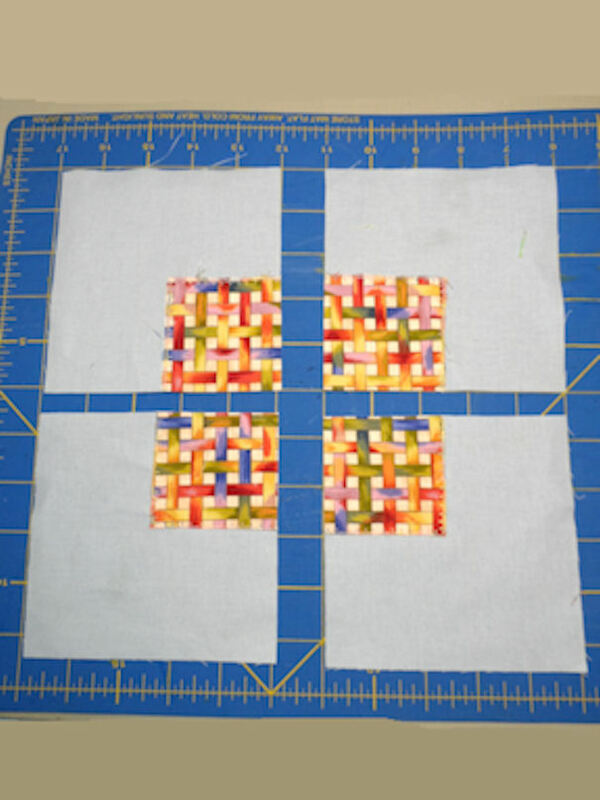 This is important for the patches cut on the vertical and the horizontal as the corners make a focal point of the blocks. 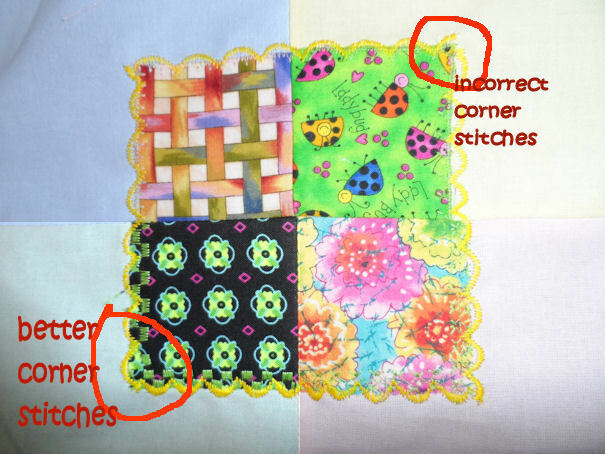 5./ Decorative stitches get lost on busy or printed fabrics. 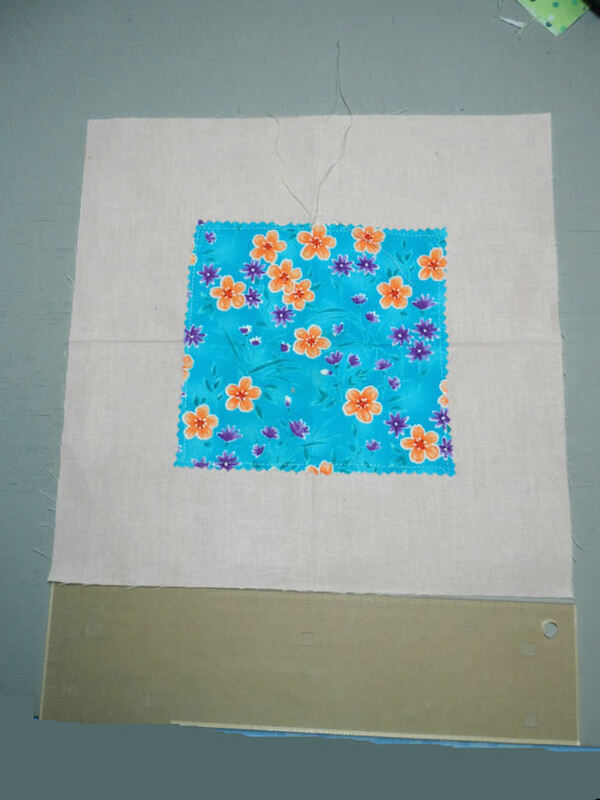 The stitches should go to the plain fabric or to the background fabrics so that it can be highlighted. I try to keep the decorative stitches highlighted. 6./ I am trying to select colors that complement the patches. My fall back color is variegated gold threads as it seems to work well the chosen fabrics without taking over and dominating the patches. 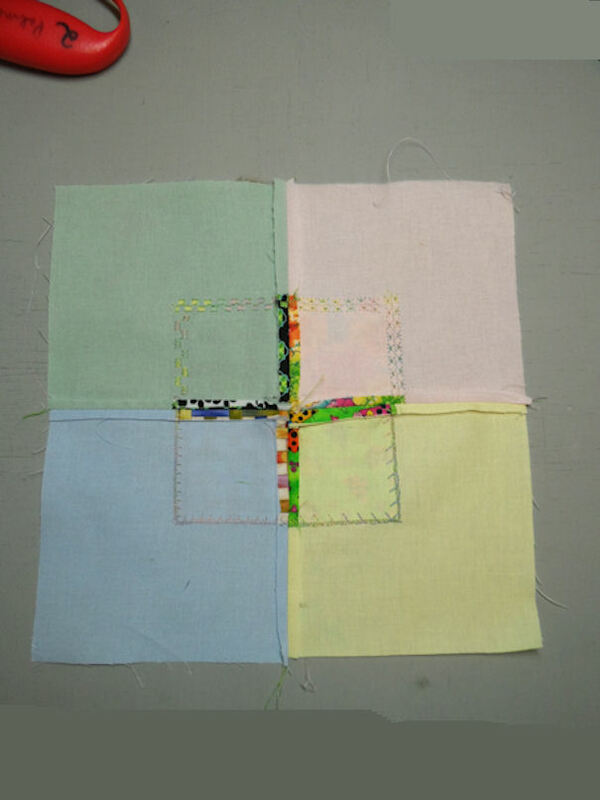 7./ As I am sewing I take a needle to sweep under the patchwork any fraying or loose threads. 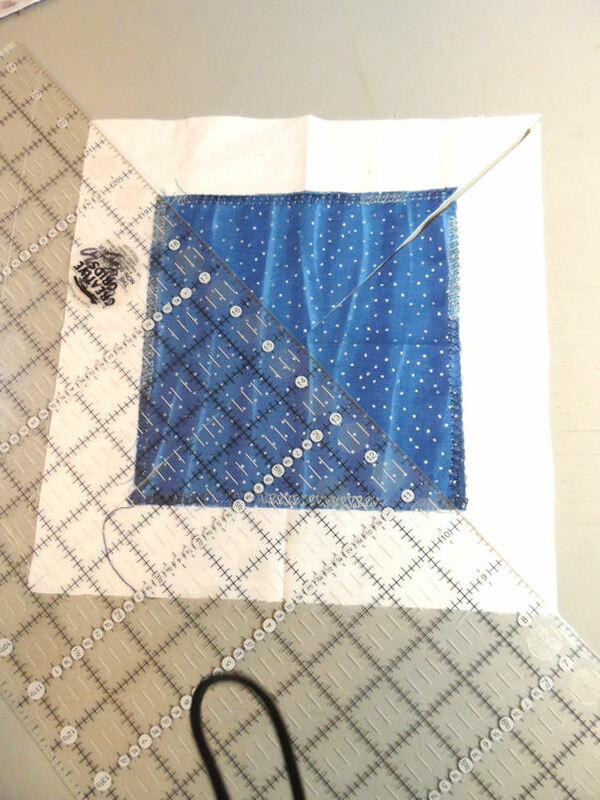 8./ I need to find my quilter’s bar so that I can do better at sewing straight lines of decorative stitches. I tend to waiver and drift when I am sewing. I am looking forward to using more of my decorative stitches. 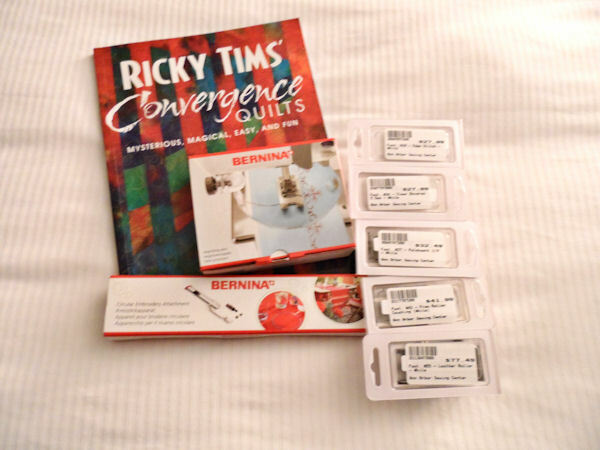 9./ I used Ricky Tims Stable Stuff as my stabilizer for the stitches. 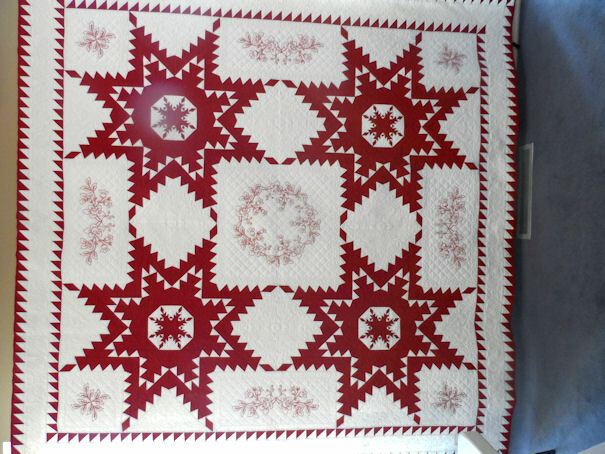 When the quilt is washed it will soften up and not add any stiffness to the patches. I like the way the stitches look when a stabilizer is used. LOOSE CHANGE – fun new technique !!! I recently did a series of articles for my quilt guild. Here is the first of several posts. These are my personal opinions based on the research I have done in the last several months. The opinions of other quilters may be different, but I am hoping to begin a dialogue with other quilters. So if you have any ideas or comments just chime in and we can discuss it. The MQG was organizing members on line. Their rationale was that there were not enough members who lived close enough to each other. Little by little the members in the same area started connecting and they organized brick and mortar guilds in the area where they lived. Sometimes these guilds were off shoots of larger traditional guilds but more often they were independent groups. Like traditional guild they evolved according to the group’s need. Some are working groups where they learn techniques and work on projects. Other groups organize themselves the same as traditional guilds. 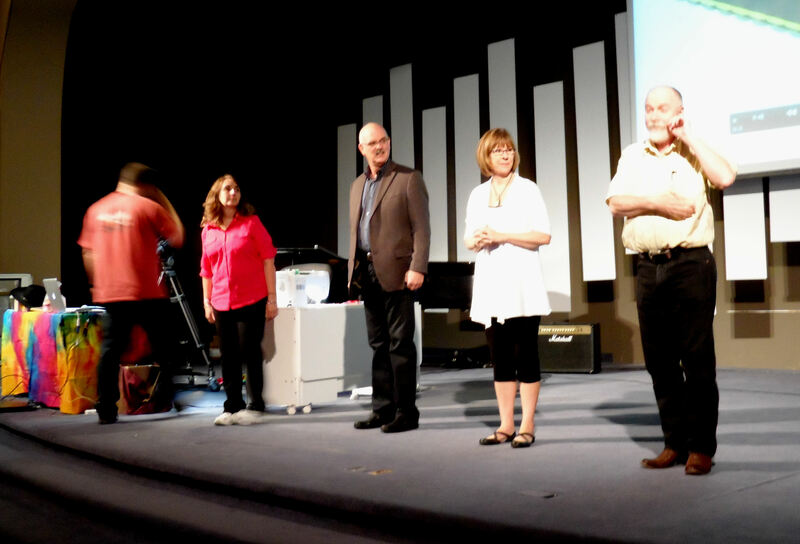 The majority have show and tell as part of their meeting. 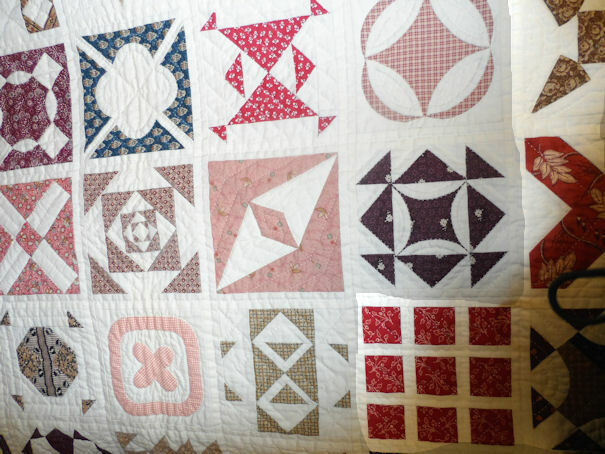 The groups tend to be filled with younger women who have just started quilting, but anyone who shared the same aesthetics and made modern quilts were welcome. 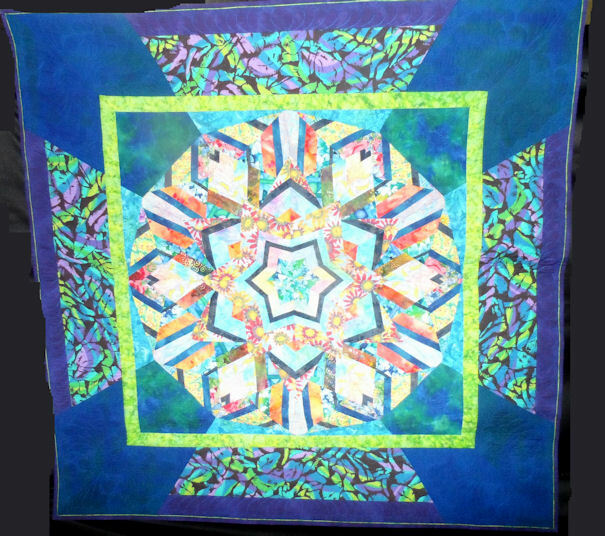 QuiltCon is the inaugural international conference and show by and for The Modern Quilt Guild. 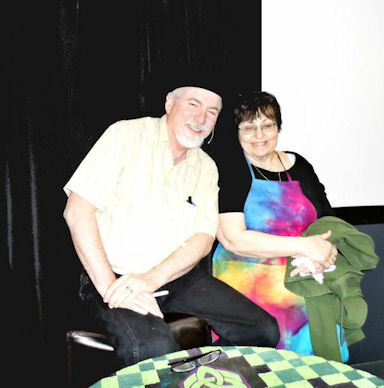 The first modern quilting event of its kind, Quilt-Con features top modern quilting instructors and will attract attendees from around the world. 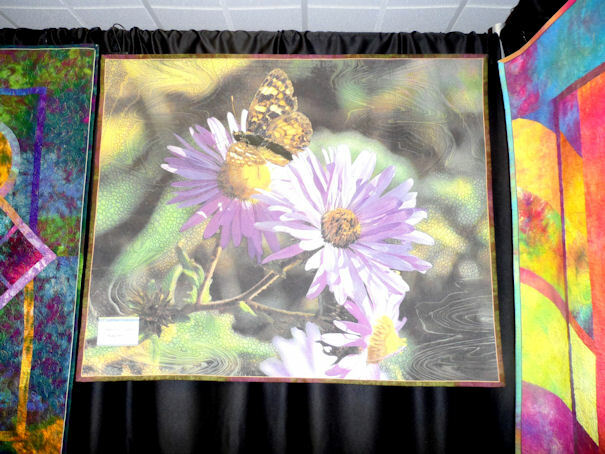 It includes a juried modern quilt show with cash prizes, vendors, lectures, workshops from top modern quilters, and more. If you want to learn more about MODERN QUILTING you can check out the lecture series on Craftsy. You do have to register on the website but you can sign up for several classes and the QUILT CON LECTURE SERIES for free. You do need a high speed internet connection to watch the programs they do not work on dial up. But if you can stream a TV show you should be able to steam these lectures. 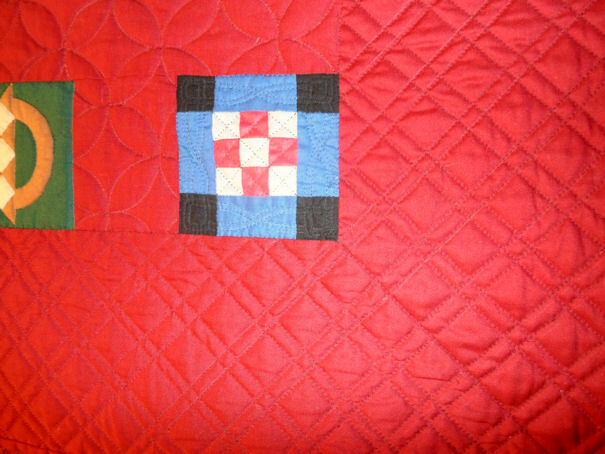 What are the aesthetics of MODERN QUILTING? I did extensive research in what is considered MODERN QUILTING. 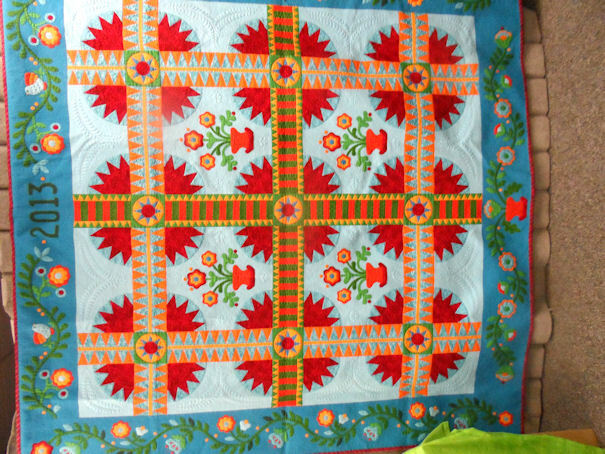 Just like traditional quilting for every modern quilter there is a different definition and an application of those definitions. Modern quilters have differing levels of skills from the total newbie just learning to thread a machine to experience quilters who could win ribbons in any show. 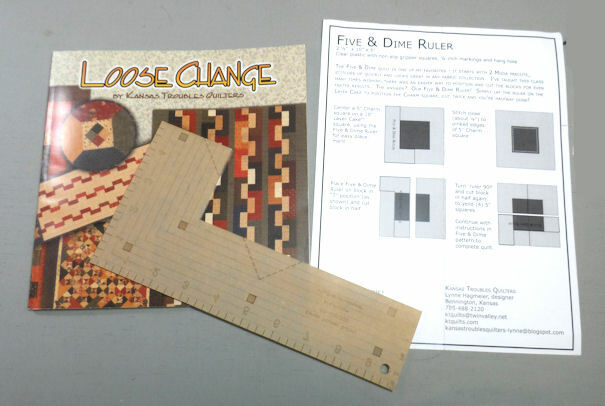 Modern Quilters also have a growing group of quilters who publish patterns and books. 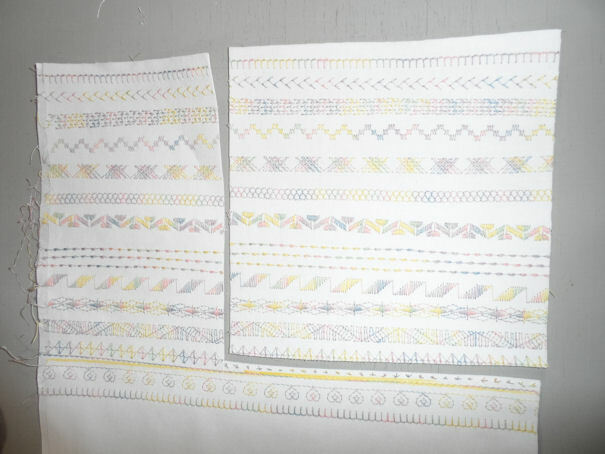 I am sure you have been seeing more books, patterns. I do not think the MODERN QUILTERS are rejecting traditional quilts they are just finding their own voices and what fits in their lives. I say bring them on let us welcome them to the club of quilting and enjoy their endeavors. 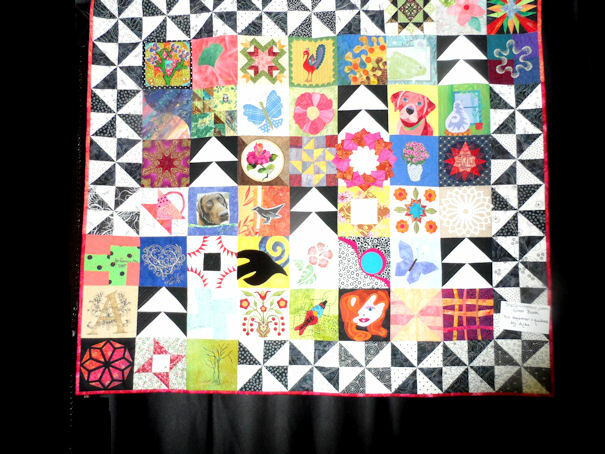 Modern quilting also reflects the change in ways quilters gather (online), share (flickr/blogs), and shop (again, online). Sure, traditional quilters do these things too, but with the speed of the internet, ideas light up and take off in an instant. Someone posts it on a blog, everyone sees it, and by next week, 20 people have made one already (more if someone creates a flickr pool for them). You don’t have to wait for magazines and quilt shows to see what’s new. 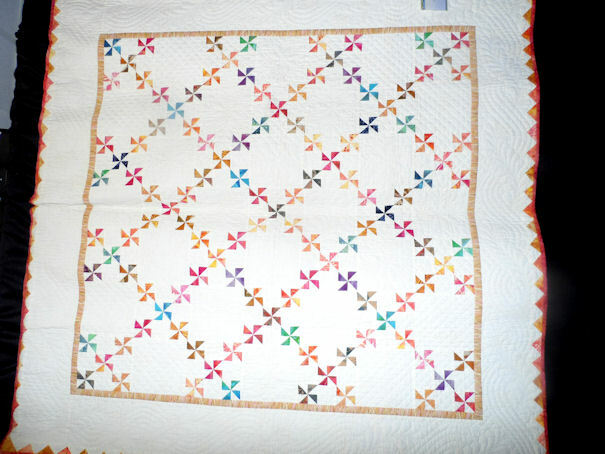 Modern quilts display an effective use of the principles of design: movement, unity, harmony, variety, balance, contrast, proportion and rhythm. 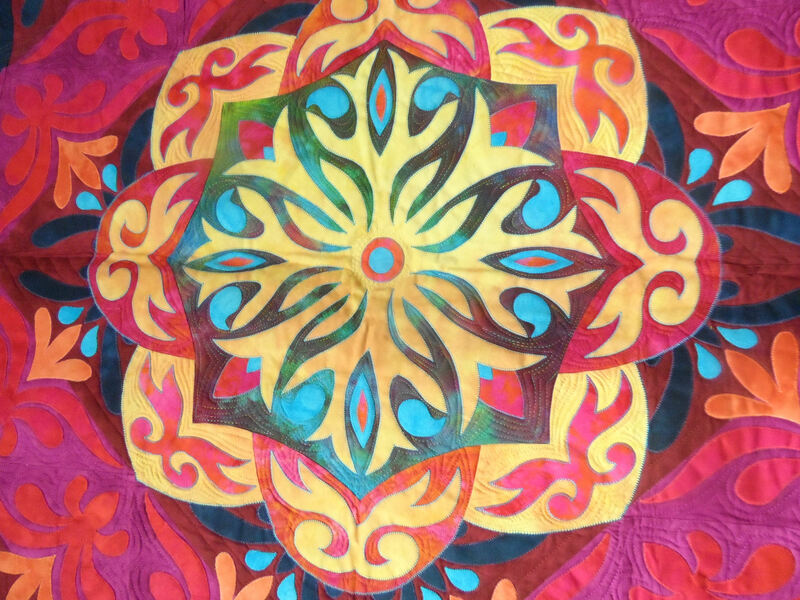 Most interesting is that most modern quilters employ these principles organically, without any formal training or structure—they simply create what is in their hearts and minds of quilter. 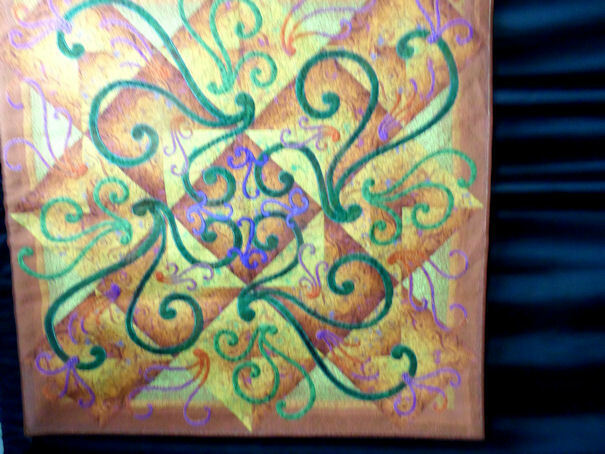 Modern quilting alongside ancient and indigenous art and designs expresses the inborn drive of humans to create beauty. 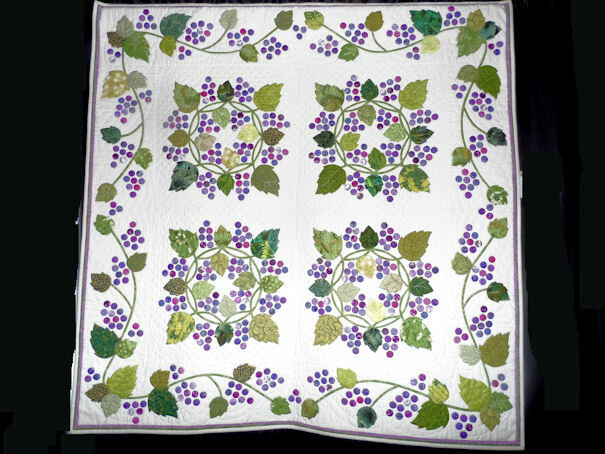 CHARACTERISTICS of MODERN QUILTING is a compilation of multiple sources and some of my own observations based on what I have seen on Pinterest, Flicker groups. Some of the notations are similar to each other as they share similar sources. Some notations are a contradiction of previous definitions, MQ is still evolving. Base their quilt structure and blocks on design principals found in architecture and art classes. 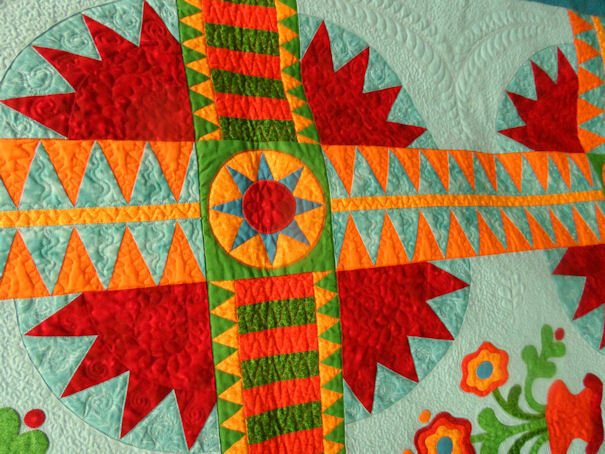 The defining design principles in modern quilting are rhythm and movement. 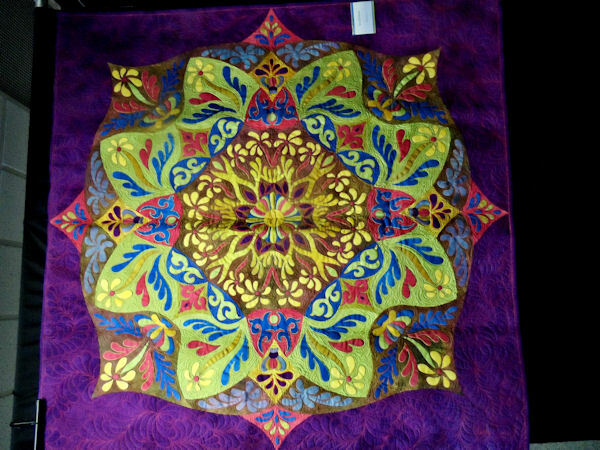 One rule in modern quilting, it would be that there are no rules. Original form not always a recreation of traditional blocks or quilts; it is a blazing of new trails. Reflect the individual personality and personal style of the quilter and it also reflects the current aesthetic of the day. The use of diverse fabrics (keeping in mind the way the fabrics different in their wearing and use.) is often found in the same quilt. Using vintage and recycled fabrics in different ways is common. I think this is an off shoot of inheriting stashes and thrift shopping. 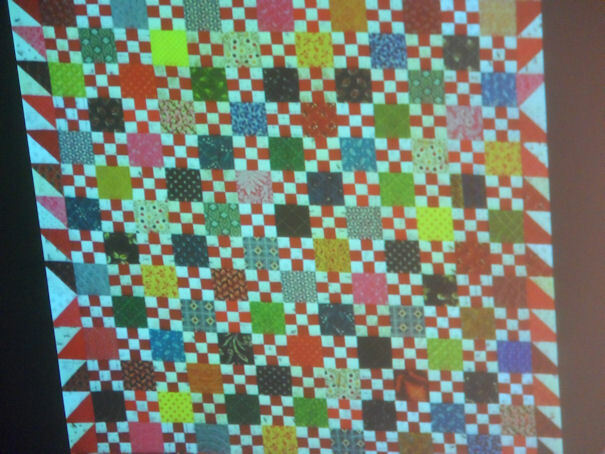 Mixing fabrics types can frequently be found in a MODERN QUILT PROJECTs. 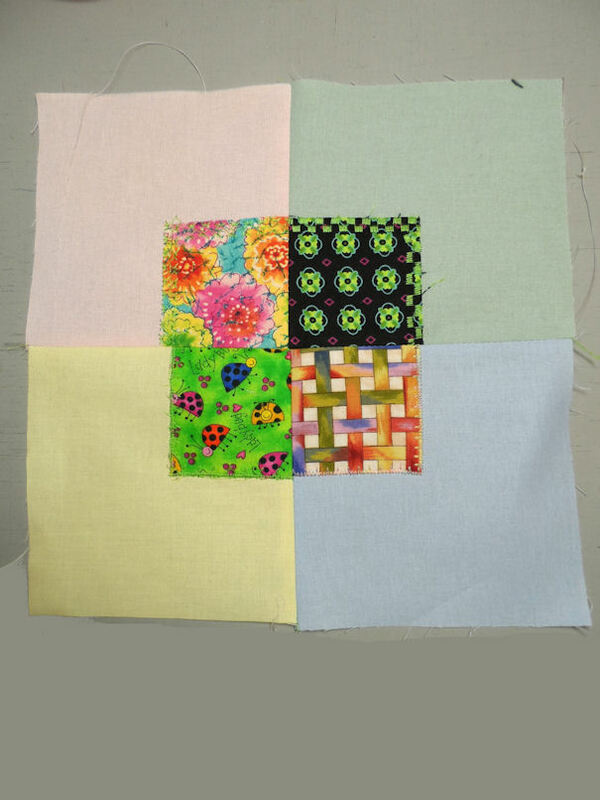 SIZE of blocks and patches tend to be larger than traditional quilts (16 to 20 inches are common in Modern Quilting patterns. Graphic / geometric block designs. Fabrics are showcased not the blocks. 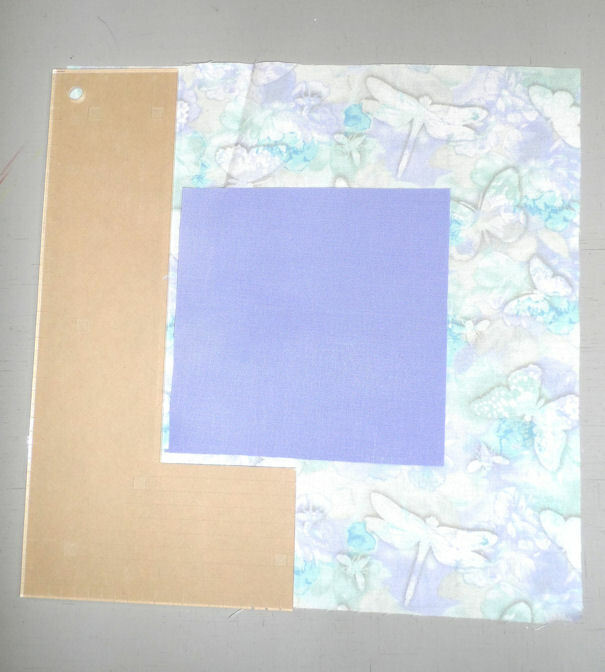 Use of precuts and fabric bundles / kits is often used by the new Modern Quilters but they to branch off as their skill level and quest for personal creativity grows. The piecing could be improvisational and liberated, or it could be very exact and measured, following a pattern or creating your own. 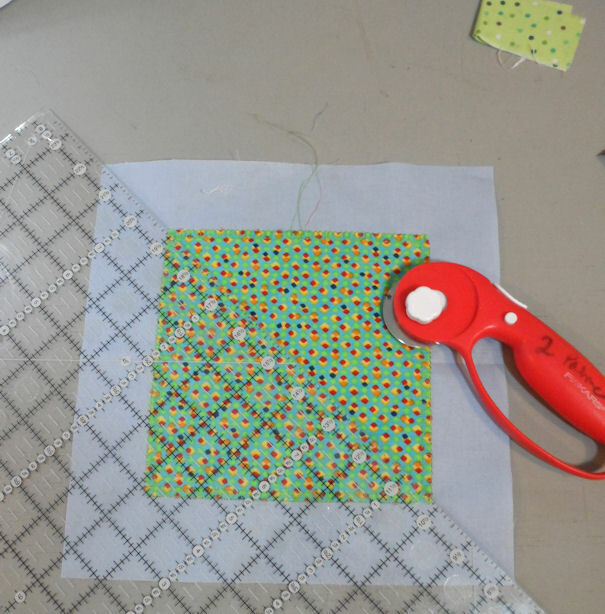 Digital cameras are used for inspiration and communication of a quilter’s own projects for journals and blogs. 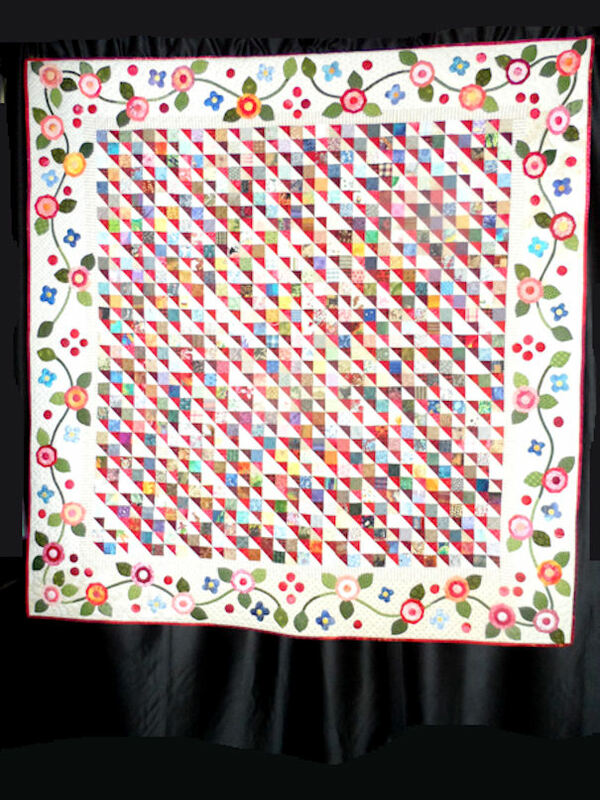 “The concept of modern quilting is not meant to divide or segregate. 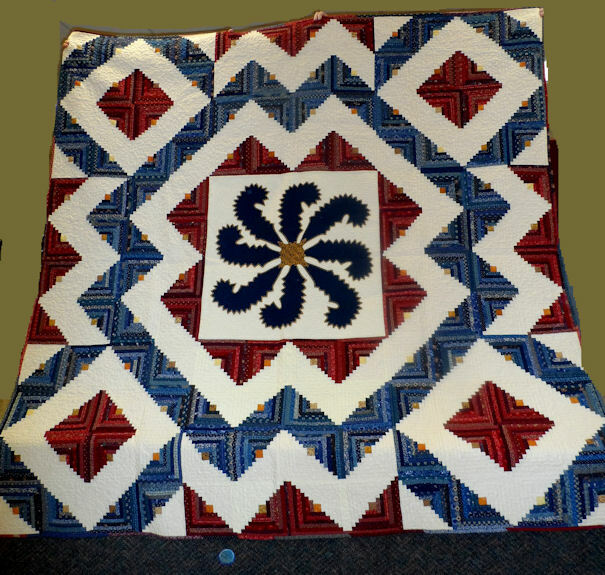 It is meant to welcome new quilters, of all ages, to the world of quilting in a style that they can relate to. 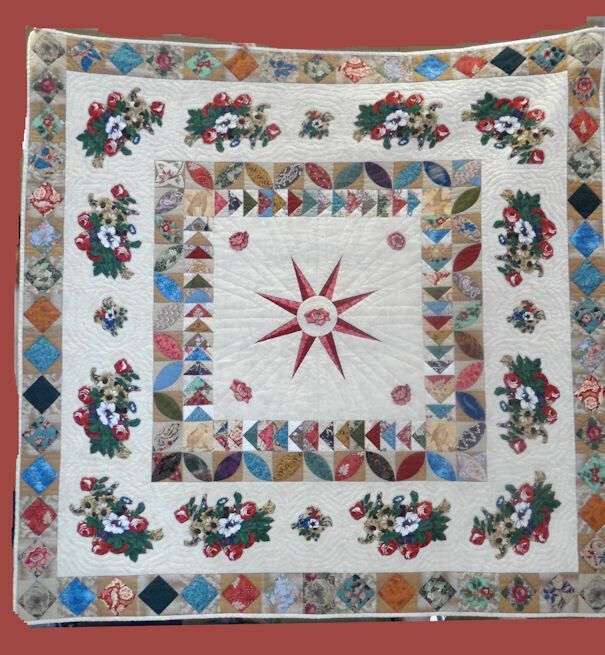 In many ways, modern quilting takes us back to the basics of the early quilters, when women of the day used the colors and styles of their time to express themselves creatively. THAT is the Modern Quilt movement that I want to be a part of. I am sure that I need not put myself in the box of “modern quilter”. I don’t put myself out there as a “traditional quilter” either. I too consider myself a quilter. 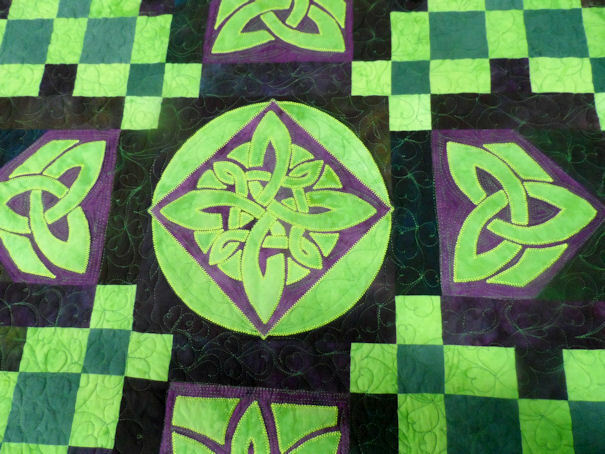 Happy quilting to all my guild sisters. Even now the definition of MODERN QUILTING is changing and being further refined. I just want to tell you in advance my camera …. needs to be thrown out. First I forgot to take the program off MACRO, so all my first set of pictures are fuzzy. I was able to re-shoot lots of pictures but they will still need editing. When the seminar was done I reset the entire camera to factory default. I had been afraid to do that earlier because I was afraid to mess up the settings worse then what they were. The settings were fixable in an editing program. The only thing I have trouble with is out of focus shots ( that was why had I had to reset the factory settings) but the focus settings had been messed with and I no longer knew how to fix the setting. I think this will work. WORD TO THE WISE NEVER LET A 5 YEAR OLD USE YOUR GOOD CAMERA…. give him an old one. I will be posting more pictures after I edit them. the main edit will be re size to a size this blog will accept. So enjoy. This photo was printed from a 60 inch printer on to fabric on freezer paper. Ricky then FMQ accentuating the photographs. He used shadowing to maintain the integrity of the shapes. Everyone stopped to admire this wall quilt. 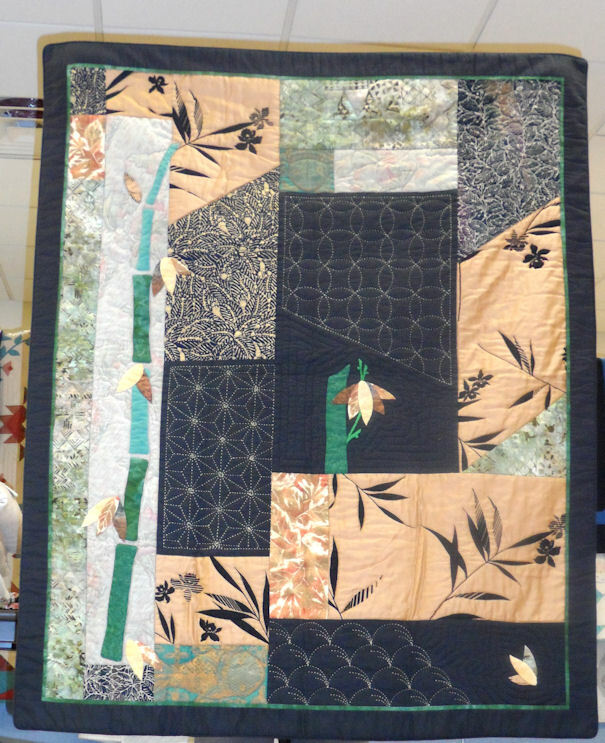 Ricky said he made this 3d- ONE SEAM FLYING GEESE QUILT. HE taught this technique on the quilt show. 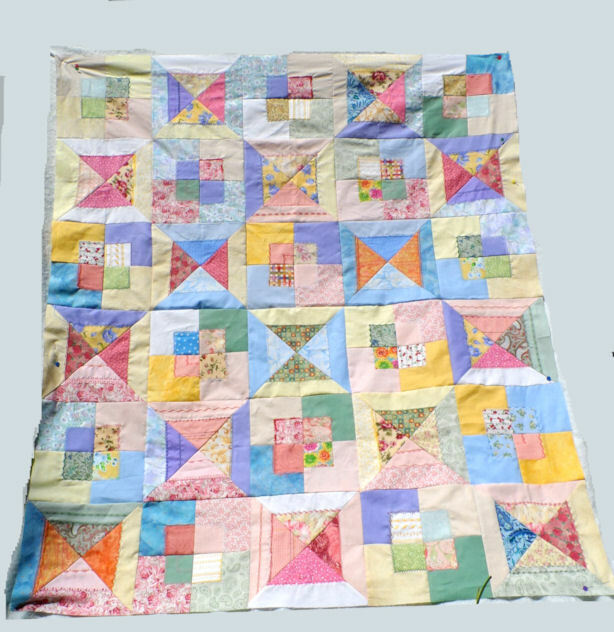 I have made some of these quilts for kids, but I used larger flying geese units and novelty prints. Kids love putting little toys / treats in the pockets. It is a fun quilt. If somebody wants I will post the directions to the quilt I make using this technique. I have directions to multiple size geese and a rectangular block. LET ME KNOW IF YOU want me to post the directions. Ricky and his father made this RHAPSODY QUILT Ricky’s dad made the lone star quilt and Ricky finished it with the applique and innovative setting. This is what happens if you let your imagination run wild and you push your boundaries. 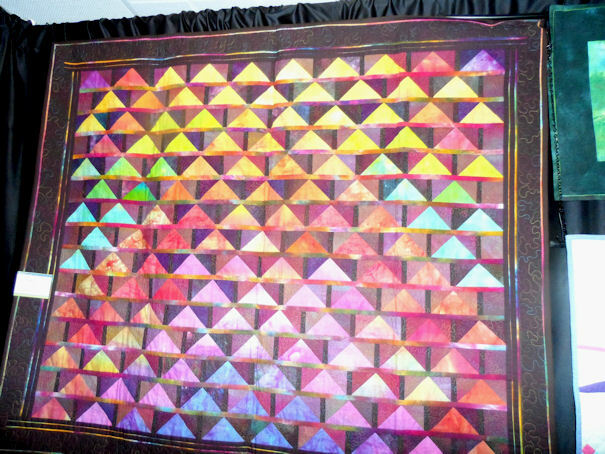 Ricky demonstrated the technique used to make a KALEIDOSCOPE QUILT. This is my daughters and grandson’s favorite pattern. 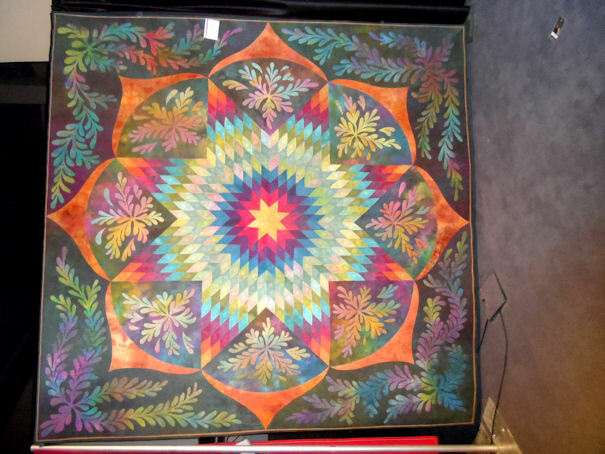 I made a kaleidoscope wall hanging which now hangs in my grandson’s room. (See LOGO) He threw a fit when I tried to take it down from the wall to take to the seminar to have Ricky sign the back of my quilt. He can be so BRATTY! This is another caveman piecing technique quilt that has applique. 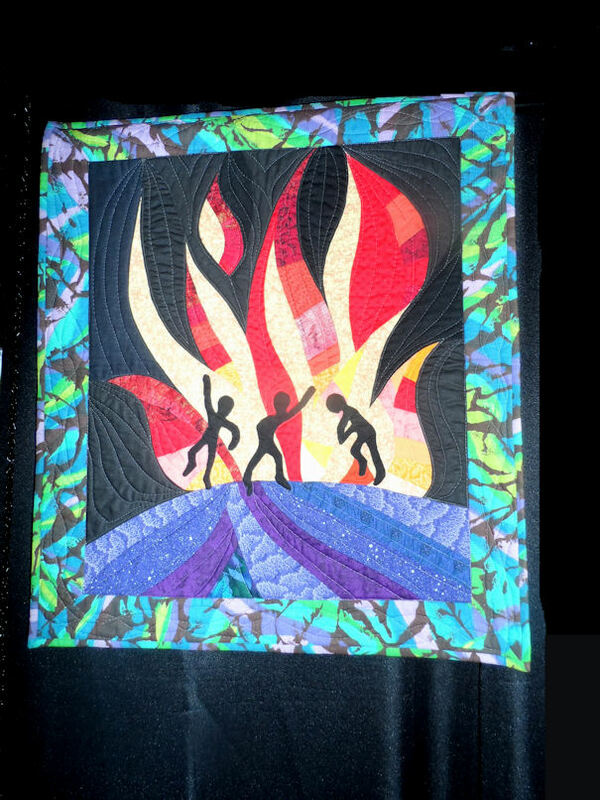 The caveman piecing makes a great background for applique. Shantel Tulip a caveman piecing technique shown during the seminar. He also has a DVD that teaches this technique is greater detail for people like me who have no memory and need constant reminding/ prompting on how to do a technique.